E is for Explore! : Rubber Bones! 1. Rinse the bone in water. 2. 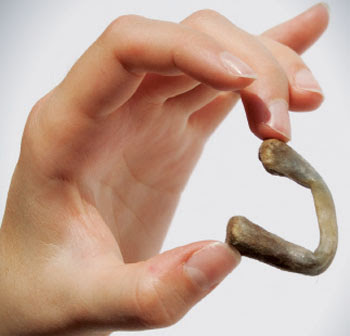 Feel the bone: "Like our bones, chicken bones have a mineral called calcium in them to make them hard." 3. Place the bone into a jar and cover it with vinegar. Then, put a lid on it and let it sit for 3 days. 4. Rinse off the bone and feel the texture. Try bending your bone!